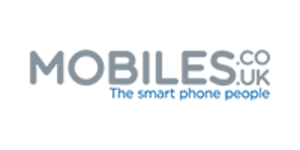 Cheapest ever mobile deals! 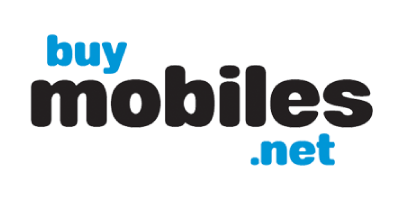 Make massive savings on your mobile phone package today. 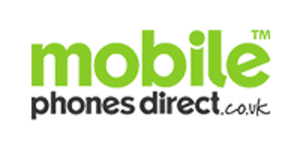 Compare deals on the latest mobile phones from just £10 a month. Promoted deals have been lent additional visibility as a result of us securing exclusivity on a great deal, or a commercial agreement to showcase what we believe to be market-leading value to consumers. uSwitch services are provided at no cost to you, but we may receive a commission from the companies we refer you to. To find out more about how our site works, click here. If a deal is ‘promoted’ on uSwitch’s tables, then it has been lent additional visibility as a result of us securing exclusivity on a great deal, or a commercial agreement to showcase what we believe to be market-leading value to consumers. For those of us watching the pennies, cost is a big factor when choosing a new mobile phone. We'd all like to have the latest phone in our pocket but when it could cost anything from £50 per month to £75 for a contract with some networks, it's often hard to justify the expense. With that in mind, we've found the cheapest mobile deals out there for you to compare in our table above. We think you'll be surprised at the range of great mobile phones and affordable tariffs available. Which networks offer low-cost mobile deals? Most mobile networks offer at least one standout cheap mobile phone tariff, which is aimed at people who don't want to spend a lot of money on their phone bill each month. One important thing to consider, though, is that low-cost mobile phone deals come in many forms. The term 'cheap phone deal' might refer to mobile phone tariffs with cheap call rates. Or if might be taken to mean cheap monthly payments on a great value talkplan. Selecting the right smartphone deal for you depends on your budget and your usage habits. And, of course, which networks offer a service in your area. Below, we outline the sort of price points you can expect to pay when you sign up with the UK's major carriers and take a look at each carrier's selling points. You can get some great affordable mobile deals on some of the latest Samsung, HTC, Nokia and Sony handsets from as little as £15 per month. If you're not too worried about having the hottest handset, you can find mobile packages for as low as £10 with O2. Three's low-cost packages should come in just shy of £10 per month and feature competitive allowances. Virgin offers some great budget mobile phone contract deals, starting from £7.50 per month. Although positioned as a value network, you can still pick up some keenly priced high-end phones from the likes of Samsung and HTC too. Like Virgin Mobile, Tesco Mobile is pitched at more cost-conscious consumers. Pay-monthly deals from Tesco Mobile start from £7 per month. EE offers a premium 4G service, so is less wallet-friendly than some rival operators. However if a super-fast service and the UK's widest network coverage is what you require, EE's prices are well worth paying. Giffgaff call rates and allowances on its SIM only 'goodbags' plans are among the UK's cheapest. The downside of the low-cost service is that there's no official customer support. However, the silver lining here is that subscribers can cut more money off their bill by volunteering to help answer customers' questions in giffgaff's user forums. Like EE, Vodafone is really known for premium pricing that reflects its network quality and generous allowances. However, it could argued that with benefits such as free Spotify and Sky Sports, you're actually getting a pretty good deal for your money. Alongside competitive tariffs, Tesco Mobile's major selling point is that customers qualify for free Clubcard points each time they pay their mobile phone bill. This can spell significant savings, especially in households with three or four Tesco Mobile handsets. What if I want a cheaper deal but want to keep my existing phone? One of the best ways to get a super-cheap mobile phone deal is to opt for a SIM only deal from any of the major mobile phone networks. SIM only plans, which cover only airtime, data and texts and don't include a new handset, come into play when you're happy with your existing mobile phone and don't feel the need to upgrade to a newer model. SIM only deals are becoming more popular because they allow people the ultimate freedom in handset choice as well as the chance to save money.